(community driven, beautiful views, jump of the jetty, fishing of the jetty) - Doringbaai. On route R 362 in Doring Bay. Fryer’s Cove Vineyards are located about 600 m from the Atlantic Ocean and therefore benefits from its cool ocean breeze. 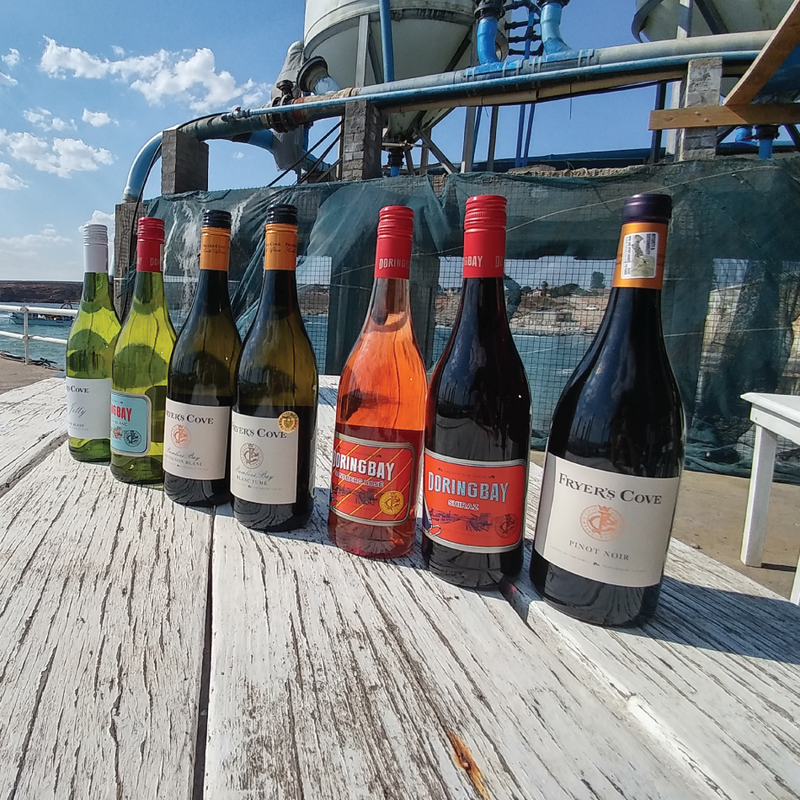 One can experience the Fryer’s Cove Sauvignon Blanc and Pinot Noir at the charming wine tasting venue at Doringbaai harbour that has a delightful view over the bay and jetty while enjoying a cheese platter or picnic basket while the kids play in the sea sandpit. Other activities such as, fishing from the jetty or for those seeking a bit more adrenaline, jumping off the jetty into the icy cold sea, will surely keep you and the young ones entertained.